As foreseen (August 20 post), the venerable International Committee on Computational Linguistics (founded 1965) met in Beijing last week. 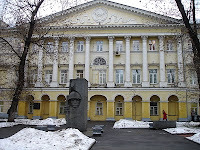 It decided that the next COLING, the 24th International Conference on Computational Linguistics, will be held in India, at Mumbai (Bombay) or Hyderabad, in the autumn of 2012. Enquiries to the Secretary of ICCL, Yorick Wilks, at ywilks@ihmc.us. and the PowerPoint slides that go with it, at MT-slides (23 MB). I immediately started looking for a computer programming course, one that I could understand. When I saw that interpreters were needed in the bayous (Alabama and Louisiana coastal wetlands), my first thought was, “Ah, for the Cajuns.” The bayous are home to the Cajuns (pronounced KAY-j'ns), a long-established French-speaking community expelled from Canada by the British in the 18th century. They’re bilingual in French and English, but they might need help with complicated documents. Turns out, though, that the need isn’t for French, it’s for Vietnamese and Khmer. 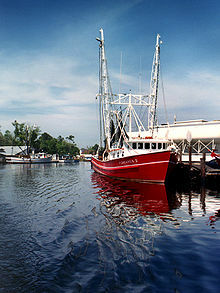 Hundreds of Vietnamese and Cambodian refugees have settled in and around Bayou La Batre (see photo), where the climate suits them and they work in the fishing industry. They form a third of the local population. They were happy until the BP Deepwater Horizon disaster ruined their livelihood, at least temporarily. Then came the need to file for compensation. Hundreds of non-English-speaking seafood industry workers endured an arduous claims process… because of what one volunteer group identified as a lack of translators. When BP was running the claims process, many in the Bayou who speak Vietnamese or Khmer exclusively had trouble with the language barrier, according to the Boat People SOS organization, a nonprofit assisting those in local Southeast Asian communities collect claims. And probably many of those who do speak some English would not know enough to navigate the procedure. The trouble began as soon as BP launched the claims process, according to Grace M. Sciré, the group’s regional director. The toll-free phone number to file a claim was only offered in English. BP spokesman Ray Melick said that, through a contractor, the company hired a Vietnamese interpreter to work at the claims center in Bayou La Batre. BP also had translators who spoke Spanish, Khmer, Laotian and French, Melick said. But at least one of the translators, Sciré said, only knew a few Vietnamese words. BP said their translators were hired through the U.S. Department of Homeland Security. Tran helped provide translation for an oil spill-related panel discussion at Alma Bryant High School on Thursday and for a meeting... at the Bayou La Batre Community Center on Saturday. Notice that Vin Tranh volunteered to act as an interpreter. Back to Native Interpreters. Native not Natural, because the competence of Natural Interpreters limits them to “everyday circumstances”, which these complicated affairs were not. Perhaps the interpreter criticised by Sciré was a Natural. Johnny Nguyen, vice president of operations of SPS Inc., an accounting firm in Mobile helping with claims in Bayou La Batre, said the process was a struggle for those who speak English as well. Bayou La Batre, Alabama. Wikipedia. David Ferrara. Lack of translators makes oil spill claims process arduous for Southeast Asian immigrants. August 23, 2010. http://blog.al.com/live/2010/08/lack_of_translators_makes_oil.html. P.S. This post was delayed by atmospheric conditions in Valencia. On Friday, the temperature reached 44º, the highest ever recorded in the city. My netbook was overheating. This weekend, a majority of my fellow members of the International Committee on Computational Linguistics (ICCL) will be gathering in Beijing for COLING 2010, the 23rd International Conference on Computational Linguistics. COLING takes place every two years in a different part of the world. It’s to sponsor this prestigious conference that the ICCL exists. The first COLING I attended was at Stockholm in 1969. The application of computational linguistics that drew me to it was machine translation (MT), then in its infancy. Today there are other major applications that compete with MT at COLING; information extraction is a hot topic. The size as well as the scope of COLING has increased with the years. When I was secretary of COLING 1976, which was held in Ottawa, we had about 100 papers submitted. (Incidentally, it was the first COLING at which the registrations were computerised and the poster produced by computer graphics.) This time there were an amazing 840 submissions! The computational changes that have taken place in MT since 1969 have been twofold. On the one hand, innovations in its techniques: at first transformational grammar and more recently statistically based MT, in which large data bases are searched for previous translations of the same or very similar pieces of text. And on the other hand, the breathtaking advances of computers in general. In fact the use of the large databases needed for statistical MT (called translation memories) only became feasible with the advent of cheap,fast mass storage devices in the 1980s. At the time of the Stockholm COLING, we were still using large reels of magnetic tape for storage! In addition, there's been a radical social change. In 1969 MT was envisaged as a professional product that would translate technical documentation or (in the case of Canada) government publications, for clients with funds to pay for it. That function remains operative, but to it has been added a new dimension: MT as a consumer product for DIY translation by anybody, universally available and free. With that comes an enormous increase in the volume of MT. Of course, in 1969 we couldn`t imagine the Internet and its impact. Mind you, we all know that MT still has serious limitations; I’ve written about that before (March 24; April 2, 4, 6 and 14 posts). There was an case recently in Canada that serves as a lesson. The RCMP, the national police, being an agency of the Federal Government, is obliged by law to produce all its news releases in both the official languages of the country, English and French. The RCMP in the far western province of British Columbia, where native French speakers number about 1.5% of the population but there are many Francophone tourists, decided to cut time and cost for itself and for the public by letting users have Google Translate do the work through a link on their website. Before long, however, there was a public protest by the French division of the Canadian Broadcasting Corporation about the abysmal quality of the French that was being turned out. Fearing possible legal and political repercussions, the British Columbia RCMP soon backtracked and announced it would send its translations to the government’s human translators again – at a cost, so they said, of $3,000 a day. This cautionary tale illustrates how naive ill-informed clients may be about MT and about translation in general, but that was so in 1969 too. Chad Skelton. B.C. RCMP removes Google French translator from website. Vancouver Sun, August 3, 2010, as well as numerous other press and media reports. Over at The Liaison Interpreter, which you can reach instantly through the Liaison Interpreting in Japan link on my side panel, there was a very striking action photo this week of Major Arthur Herbert Birse, CBE, born 1889, the Briton who was assigned to accompany Winston Churchill as interpreter at several of the latter’s meetings with Stalin. Birse was brought up in an English family in pre-Soviet Russia and was bilingual from childhood, but didn't train as an interpreter. 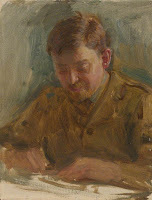 In fact he was a banker by profession who happened to be called up as a British army officer in wartime. He tells a good story of a late-night drinking session between the two leaders. The photo is perceptively analysed. A lot of news about translation comes out of China these days; and at the professional and academic levels, the journal Babel of the International Federation of Translators rarely lacks a Chinese contributor. “When China awakes, the world will tremble,” said Napoleon. This post relays a report from that awoken country. I’ve run other posts about crowdsourcing for translation; the last was on December 19. The purpose of this one is to show that crowdsourcing is not limited to video games, software localisation or social networking. It can also tackle more intellectually difficult discourse. Chen Xiaoran is finally beginning to understand the complexities of Death. Not his own, but the philosophy course in Yale University's open program. Chen, a Chinese college student, at first was baffled by the jeans and sneakers-clad professor who sat cross-legged on his desk for the lectures, which are posted on-line. "I liked the relaxed style of the class," says Chen. "We don't see much of that on our campus." It's a rare opportunity for China's Internet users to see how a Yale professor inspires his students to think, to question, and to argue. But without subtitles, understanding would be difficult, if not impossible. "I'd been longing to listen to Death for a long time and I tried for two classes, but couldn't understand due to my poor English comprehension," says Chen. "But now with Chinese subtitles, it's much easier." The subtitles of Yale's on-line open courses are translated into Chinese by non-profit translation workshop Yye Ts, which is opening up courses of Ivy-league universities to ordinary Chinese. Yye Ts was founded six years ago by a group of amateur translators, who started out translating foreign movies and TV series, but unlike other voluntary translation workshops in China, they moved into academia. Liang Liang, the founder of Yye Ts, is a self-employed technician. He says he started the undertaking simply out of love of translation and the desire to introduce English-language films and TV shows to more Chinese. His team of volunteers – mostly college and graduate students – all work with the same altruistic intentions, and the Yye Ts website generates enough advertising revenue to cover the overheads. The academic translations began a month ago, the idea of a friend, and proved to be more difficult than anticipated. "Subtitling college courses requires us to understand the specific academic field or we'll humiliate ourselves with the translation," he says. "We select courses according to our translators' capacities and user demand. Once we decide to take on a new academic field, we recruit new translators accordingly," says Liang. "We have to comply with historical facts and terminology. Some of the courses even require translators to know ancient Greek and Roman poems." The translation of each course is a team effort. Four people each take 15 minutes of an hour-long class, but even then it can take each team member three days to complete. The leader of the Death team, who goes by the nom-de-plume of Flying Phantom, says, "The most interesting part is discussion and rewording after the first drafts. We ask experts about what we're unsure of." The workshop has so far subtitled 10 courses covering philosophy, finance and psychology, and the scripts are being downloaded 10,000 times each day. Yye Ts has been divided into four teams: television, film, documentaries, and education. Fang Si, supervisor of the education team, says her team is composed of 160 translators, mainly college and graduate students, with some doctoral students. "We have very strict rules in taking on translators. Candidates have to pass two rounds of tests, which eliminate half of the applicants," says Fang. The remaining translators are all majors in certain academic fields, and many have studied abroad. Time-consuming as the work is, Fang Si is always enthusiastic. "By translating these courses, we can brush up our English skills and develop a better understanding of what we have learned." Rong Yujie, a graduate student of computer science, says access to first-class lectures in China is limited, but the online open courses allow him to expand his horizons. Huang Qi, a senior manager of Shenzhen-based IT company Tencent Foundation, says, "I just want to learn English by watching these courses, and I think these are better materials than English TV shows or movies which contain too much slang." Liang Liang plans for the group to take on more subtitles of open courses from world-class universities, and he predicts Yye Ts' rivals will be reading their future too in each new release. The graph charts the rise in Yye Ts’s popularity in recent months. Notice one unusual feature: the source is chosen in function of the translator and not vice vesa. From time to time, someone bilingual asks me for advice on how to “become an interpreter.” By this they usually mean, how to become a Professional Expert Conference Interpreter, trained and accredited. Recently one of them even asked me straight out, “How can I become a United Nations interpreter in New York?” – which is like aiming for the stars. Well, that level is really beyond the scope of this blog, but since the aspirants are nowhere near reaching it yet, I usually dish them out some advice from my not inconsiderable experience. Piece of Advice No. 1. Get an advanced general education. Look at the interpreters I described in my last post. They all had at least a university first degree, and one of them has a doctorate – not in translation or interpretation but in something. As Canadian clergy, the nun and the Franciscan must have had at least a BA. The fastest interpreter student I ever remember teaching had a background in journalism, as had several Arabic interpretation students whom I met at the American University in Cairo. There’s no hurry. There are, it’s true, some exceptionally gifted young people in interpreting as in everything else, but generally speaking the best age of entry is from the mid-twenties onwards when you’ve been out in the world. Piece of Advice No. 2. Forget about the United Nations for a while and settle for beginning on the bottom rung. There are two routes to follow. One is to go for formal training, typically to a university school of translation and interpretation, if you have the time and can find the resources for it. More about this in some later post. The other is to enter by one of the side doors. I’ll illustrate. At this time of the year, early August, 60 years ago, I would have been shepherding parties of English holidaymakers around Barcelona and the Balearic Islands. I was what is called in the travel industry a courier. It was a summer student job; how I got it is another story, but the point is that hardly any of my flock spoke a word of Spanish, and in those days few Spaniards could speak a word of English. Though I wasn’t engaged as an interpreter, I in fact spent a lot of time interpreting. By throwing me in at the deep end, this did several things for me: (1) it vastly improved my Spanish, which was practically zero to start with, and it even taught me a little Catalan; (2) it taught me to deal with cross-cultural and interpersonal situations, an important attribute for liaison interpreters (you can read plenty more about this aspect by following the Liaison Interpreting in Japan link on my side panel); it gave me confidence to talk to managers and officials, even Franco’s police, and negotiate with them – I became a fixer (see March 21 post); and last but not least, it gave me all that experience as an interpreter without my even realising that that I was one. Then, in 1953, purposely right at the peak of the tourist season, there was a strike on French Railways. In those days, flying was still an elite form of travel and the great bulk of English visitors to Spain came by train. So we had hundreds of clients about to be stranded in Barcelona. My boss, a man of great initiative, flew out from London to bargain with Catalan businessmen for the hire of coaches (buses to you Americans) to transport his clients across France. He knew how to bargain hard, but he couldn’t speak Spanish, and the businessmen… So I was called in at short notice to interpret alone for a whole hectic week. I was untrained and unaccredited, but my boss didn’t worry about such niceties. Furthermore I was useful to him not only for conveying what he and the others said openly but also for telling him what the other side were discussing among themselves. And that was the start of my sporadic career as a business liaison interpreter, which is just as interesting a career as being a conference interpreter. 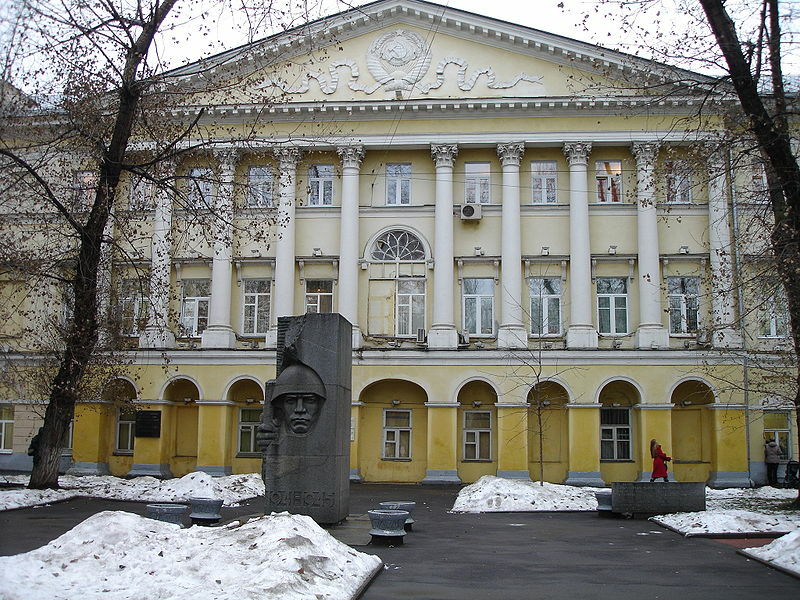 Many years later, I was visiting a famous school of translation in the Soviet Union, the Maurice Thorez State Pedagogical Institute of Foreign Languages as it was called then (see photo). I was told Soviet citizens were never unemployed, and they had no problem placing their interpretation graduates because those that weren’t offered jobs as conference interpreters were taken on by the state tourist agency, Intourist, to accompany visitors or to work as tour guides and couriers. Therefore my advice is: look for any job that involves interpreting. Use it to gain communicative experience and improve your languages, and then don’t hesitate to grasp whatever opportunity may be offered you to do more. If you go for formal training later, it will stand you in good stead.